As the creator of GUSTO POWER®: Life Design for the Multi-Passionate Professional™, Gilat Ben-Dor enjoys helping motivated professionals design their lives and careers around their multi-faceted gifts. 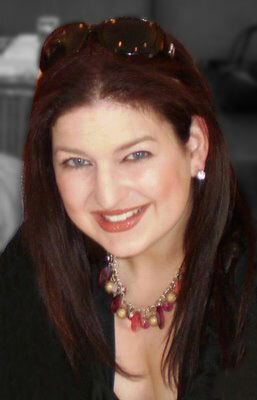 Gilat Ben-Dor, MBA, CSW, is herself a Multi-Passionate Professional™. A creative entrepreneur, she is also a speaker, author, success coach, sommelier and wine educator, and an artist/photographer. In order to coach others, Gilat firmly believes in “walking her talk.” She successfully manages multiple businesses in a range of fields, including Renaissance Wine Academy™, a wine education firm; Ketubah Spirit™, offering artistic commitment certificates for weddings and anniversaries; and a thriving speaking business, featuring separate collections of motivational, wine, and diversity topics. Gilat Ben-Dor is the creator of the Multiple Passions Multiple Profits™ coaching program geared towards those who wish to become profitable with their full spectrum of passions. She is also the author of three new books, including The Confetti Path: 101 Ways to Celebrate Your Passions and Inspire Creativity, The Rainbow Blueprint: An Action Journal for Those With Many Passions, and The GUSTO POWER® Workbook: Tactics and Strategies for the Multi-Passionate Professional™. For a limited time, signed copies are available exclusively on our website (see SHOP page). Gilat holds an MBA in Global Management, a Mediation Certificate, and additional credentials and international awards in the field of wine. She is also an active leader in her community, and a Professional Member of the International Coach Federation (ICF), the National Speakers Association (NSA), Independent Book Publishers Association (IBPA), Meeting Professionals International (MPI), and the Society of Wine Educators (SWE).